The availability of plugins in the WordPress ecosystem make it extremely easy for store owners to extend the functionality of their WooCommerce store. One of the main advantages of plugins is that you don’t need to have extensive technical knowledge to handle them. Installing and configuring a WooCommerce plugin is a simple thing you can manage on your own. Now, finding the right plugin for your store is extremely important as badly coded plugins can cause trouble on your store. In this article, we will provide you an exhaustive list of the best WooCommerce plugins that you can install on your online store. There are quite a few websites from where you can find the best WooCommerce plugins for your store. We recommend the below places to purchase WooCommerce plugins. The advantage of buying from these places would be that you will get exceptional support after your purchase. Moreover, the plugins from these developers are created following the best coding standards. So you can be assured of the quality of the plugins. In addition, you will get regular security and feature updates from the developers. Now, let’s take a look at some of the best WooCommerce plugins you should have on your WooCommerce store. 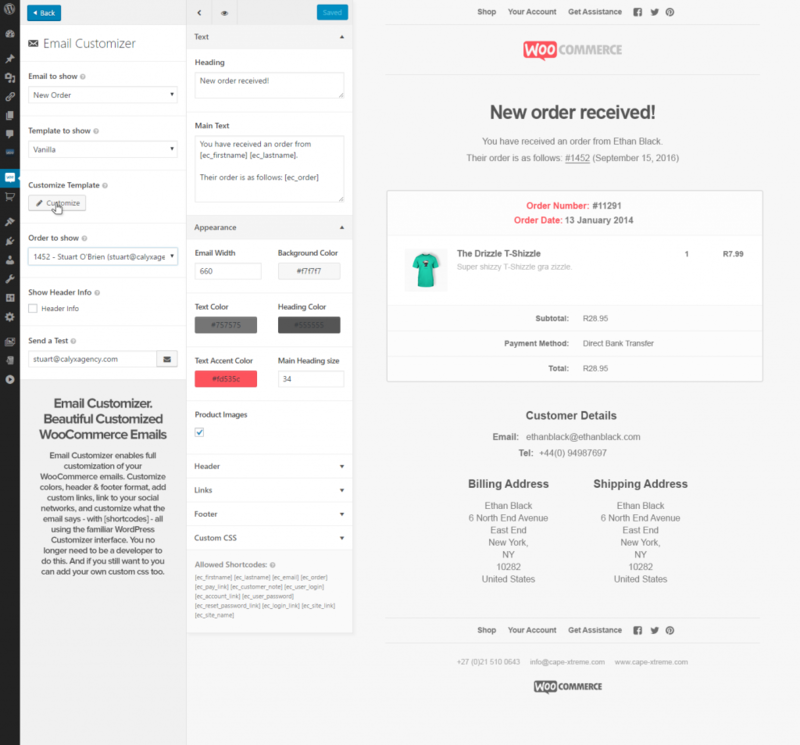 You can create and sell subscription products on your store with the help of this extension. Subscriptions are in fact a great business model that ensures recurring income from your store. With the help of this extension, you can create multiple billing schedules to suit your strategy. It also offers integration with multiple payment gateways to set up automatic recurring payments. When this extension is installed on your WooCommerce store, your customers will be able to upgrade or downgrade their subscription plans at will. You can set up a sign up fee for the subscription as well, if needed. Furthermore, the plugin offers options to set up different email notifications to keep your customers informed. Reporting features of this extension are excellent too. The price of a single site subscription of this extension is $199. 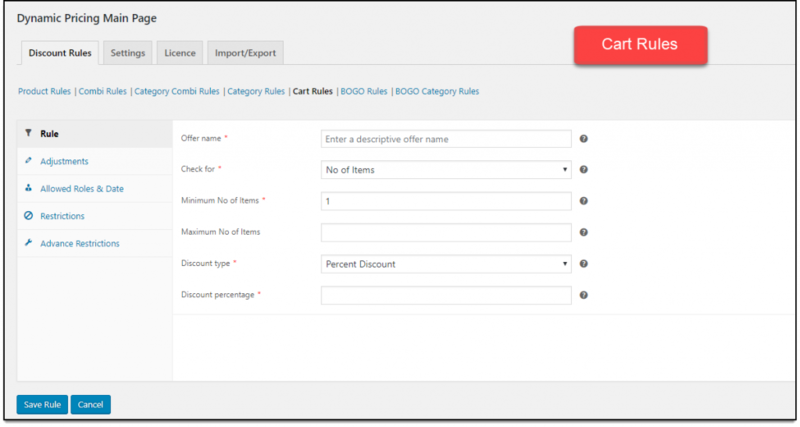 This plugin helps you set up discount rules on your store that will apply automatically, when a customer’s cart meets the specified conditions. You can create fixed amount or percentage discounts on your products, categories or cart based on several conditions. Moreover, you can combine different strategies to create more efficient discount rules. A standout feature of the plugin is the option to set a maximum discount value. This will help to ensure that your discounts won’t be going above expected range. Moreover, the plugin provides an option to display pricing table on product pages, to let customers know about all the available offers. You can also create buy one get one (BOGO) offers with the help of this plugin. Since discounts are an unavoidable aspect of your WooCommerce store, this plugin will be a worthy asset. The price of the single site subscription of this plugin is $79. Providing more options to your products, so that customers can personalize products will increase the overall customer experience of your store. This plugin helps you allow you to manage this via different input fields. It helps customers choose a variation based on images that you put of the attribute terms. You can also set up one time charges on your store when required. In addition it allows several input fields such as text areas, checkboxes, dropdowns, etc. For each add-on that you offer on your store, you can decide whether you want to charge it or not.You can also offer them an option to name their price for your products, if it works with your store strategy. The price of the single site subscription of this plugin is $49. Integrating the services of a popular shipping carrier is a common strategy followed by several eCommerce store owners. Since, USPS is one of the top shipping providers in the US, you may want to consider getting this plugin, if your business is based there. This plugin completely integrates your USPS shipping account to your WooCommerce store, if you are an eVS customer of USPS. If you are not an eVS customer, you can use another plugin from the same developers, that has all the features. The plugin helps you display domestic and international shipping services of USPS and their live rates on your cart and checkout pages. You can also make price adjustments to each of the services that you display using the plugin. It also helps in printing shipping labels and providing tracking information to customers. You can get the single site subscription of this plugin at $69. The ability to create memberships can significantly improve the prospects of your WooCommerce store. When it comes to memberships on a WooCommerce store, this the best extension to get your hands on. You can create a membership system that is perfectly integrated to your WooCommerce store. With memberships activated on your store, you can provide selective access to users on your site. You can choose to sell memberships as a standalone product, or associate it with one or more products on your store. Once you have a significant number of members on your store, you can offer special discounts or offers to the privileged lot. You can combine WooCommerce subscriptions with this plugin to make your billing cycle more efficient. You can get a single site subscription of WooCommerce Memberships at $149. This is one of the most comprehensive shipping plugins that helps you integrate FedEx services on your store. You will be able to display real time rates of FedEx domestic and international services on your cart and checkout pages. Moreover, you can create shipping labels automatically or manually as per your convenience. You will be able to provide tracking information to customers. The plugin has several other features that will help with your FedEx shipping process. You can bulk print labels using this plugin. Also, it allows printing of return labels, which will be another important aspect of customer satisfaction. The plugin helps you display estimated time for delivery, and helps you schedule pickups as well. It supports Freight and SmartPost services as well. The single site subscription of the plugin costs $69. Your customers will be able to book reservations and appointments from your site with the help of this plugin. The plugin helps to create bookable products on your store, by defining set options. You can even give the flexibility to customers by letting them choose a range of options. It also helps you to configure specific discounts based on the number of days, number of persons in the booking. With the extension, you can decide whether to make certain time slots not available for booking. Also, you can provide the option to customers to cancel or change the booking, if required. This plugin is one of the comprehensive options to create a booking product on your site. Naturally this is one of the best WooCommerce plugins you can get for your store. Price of the single site subscription is $249. This extension helps to enhance the integration between your WooCommerce store and Google Analytics account. You will get more detailed insights on your store traffic and performance so that you can make the necessary adjustments. Basically, the extension makes sure your store events are also taken into account in the analytics data. 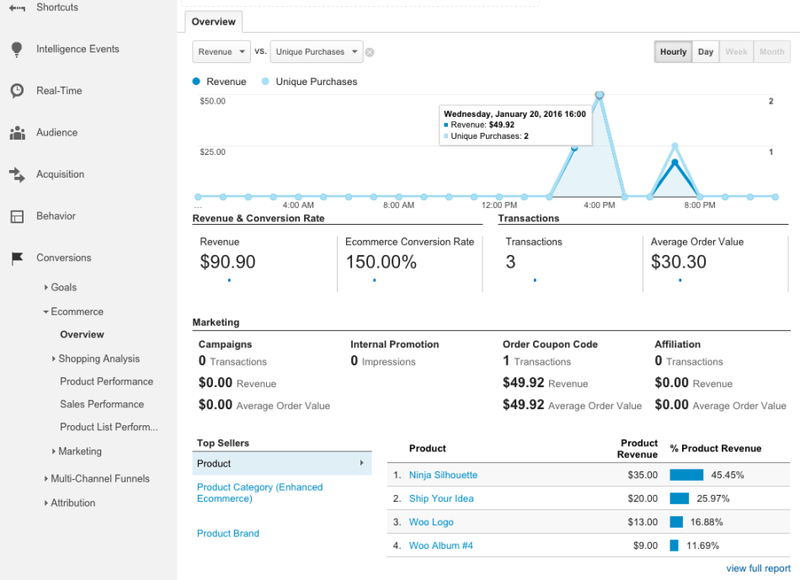 Additional metrics like your order value, sales numbers, the rate of conversion, etc. will be considered for analytics insights. At the start of the integration, you can choose what all store metrics you need to integrate with the Analytics account. The extension will ensure the rest, and you will have better insights on your sales and conversion. You can purchase the single site subscription of the extension at $79. Good filtering options are especially important for site navigation in an eCommerce store. If your site has quite a large number of products, your users need to have adequate filtering options to narrow down to what they are looking for. WOOF plugin allows your customers to narrow down their searches based on categories, tags, attributes, price and other custom taxonomies. Having extensive product filters is a great option to improve user experience on your WooCommerce store. Furthermore, the plugin has several extensions including “Search by Text”, “Search by SKU”, “Taxonomy Range Slider”, etc. Furthermore, you can create custom extensions using HTML elements. The plugin enables your WooCommerce store with widgets, product shortcodes, Ajax product searches and varied display options for taxonomies. With a simple user interface, the plugin is pretty is to set up and configure. And if you don’t want to opt for a purchase right away, you can make use of their trial option. You will be able to sell gift cards on your store with the help of this plugin. Customers can specify the amount to create the gift card and customize it with personalized text as well as images. The plugin allows customers to send gift cards to multiple recipients as well, and you can see the recipient email ids on the cart. Moreover, users can specify a date for the gift card, as well as set expiration dates if required. Customers also can associate the gift card with a product on your store. This way, while gifting, they are actually suggesting the recipients what they can buy. Also, the ones who purchased the gift cards will get a notification when the recipients use the card. 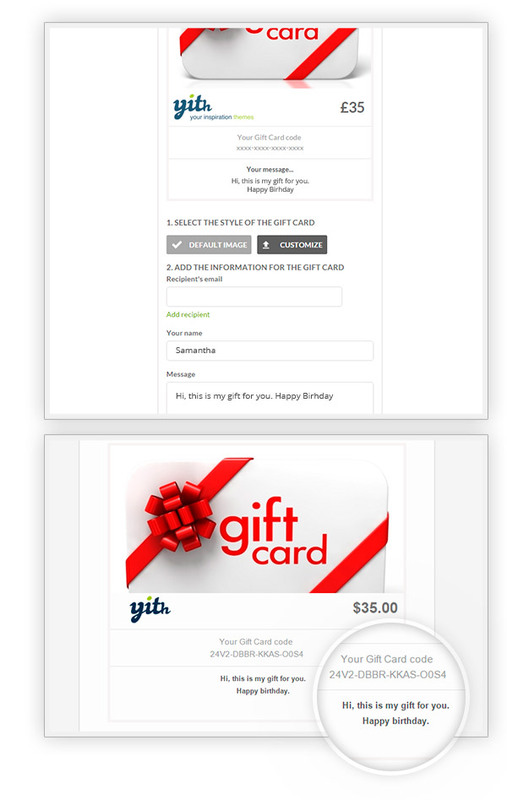 If there are any errors with the gift card, you can easily edit and modify them from the back end. Overall, this is a comprehensive option to create gift cards on your store. The single site subscription has a price tag of €104,99. Having a customer support system is essential when you have an eCommerce store. If you have a WordPress helpdesk plugin that has perfect integration with WooCommerce, it will be much better than SaaS solutions. This is because you will have complete control of your data. WSDesk WordPress Helpdesk plugin is a perfect option if you are looking for an advanced customer support solution. 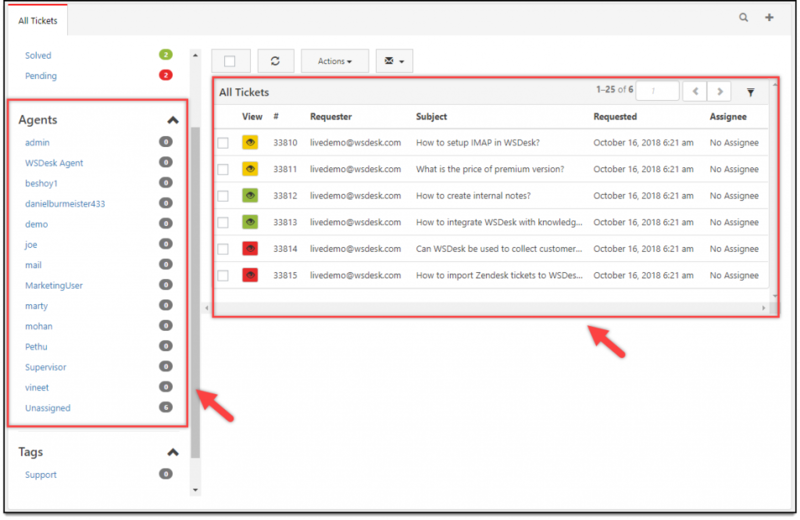 It helps create tickets from all the customer queries that come to your support email, and organize them efficiently. You can customize the support form by adding or removing the fields as per requirement. Moreover, you can easily integrate your store products into the support form, so that you can offer support in a more streamlined manner. There are advanced features like triggers and clauses, which will help you automate the workflow of your customer service department. This plugin is one of the best WooCommerce plugins for your customer support system. The single site subscription is available at a price of $89. Product bundling is a popular marketing strategy preferred by a lot of store owners. You can create a bundle of a few related products and offer a discount for the entire package. This would help you enhance the average order value of your store. Moreover, you can push the sales of certain slow moving products by including them in bundles with fast moving products. This extension from WooCommerce helps you do this and more. You will be able to manage assembled products, which have several separate components to it. Basically, you will be able to create assembled products partially or completely, or even sell all the components unassembled. 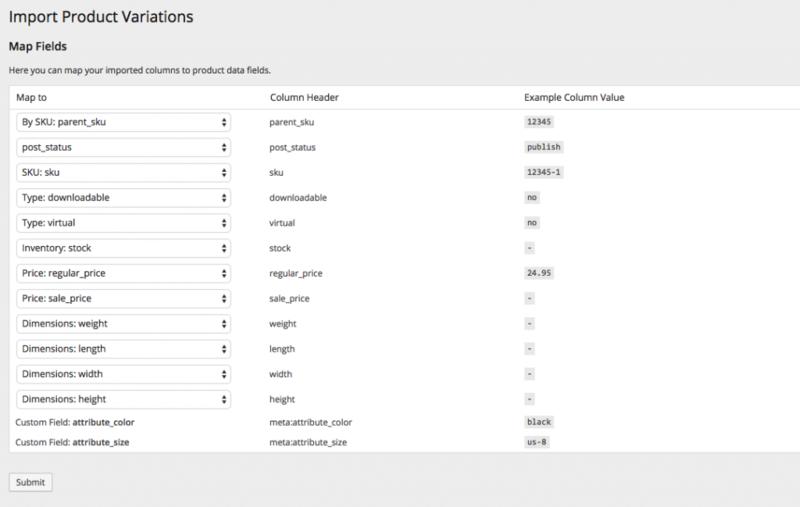 You will be able to create product bundles from all your product types including variable as well as grouped products. Furthermore, you will have perfect control in managing the pricing and shipping features of each bundle. The single site subscription of this plugin would cost you $49. To make an eCommerce venture successful, sometimes you may need to connect multiple sales channels. That’s how WooCommerce store owners often find the need to connect their point of sale store to their online store. WooCommerce Lightspeed POS Integration plugin allows you to synchronize your inventory between your WooCommerce store and Lightspeed account. Obviously, you need to have a Lightspeed account for this integration to work. Lightspeed POS integration helps you synchronize your WooCommerce store with your Lightspeed account. Flexibility to sell from a store and online. Cloud-ready to ensure mobility to your business. UPS is a popular shipping carrier that is preferred by customers around the globe. Integrating UPS services and their live rates on your WooCommerce store would be a great enhancement to your customer experience. One among the best WooCommerce plugins, this one is a comprehensive option for WooCommerce UPS shipping. In addition to displaying live rates, you can print shipping labels as well as pass on tracking code to customers. Interestingly, there is an option to generate shipping labels manually or automatically. The plugin also supports bulk shipment creation, scheduled pickups, UPS Freight, as well as SurePost services. PluginHive UPS plugin has a price tag of $69 for single site subscription. If UPS is your sole shipping partner, this plugin will be a great option for your store. However, if you want to integrate multiple shipping carriers, checkout this one with FedEx, UPS and USPS services. If your business requires setting up varied prices for your products depending on user roles, this plugin will be really helpful for you. 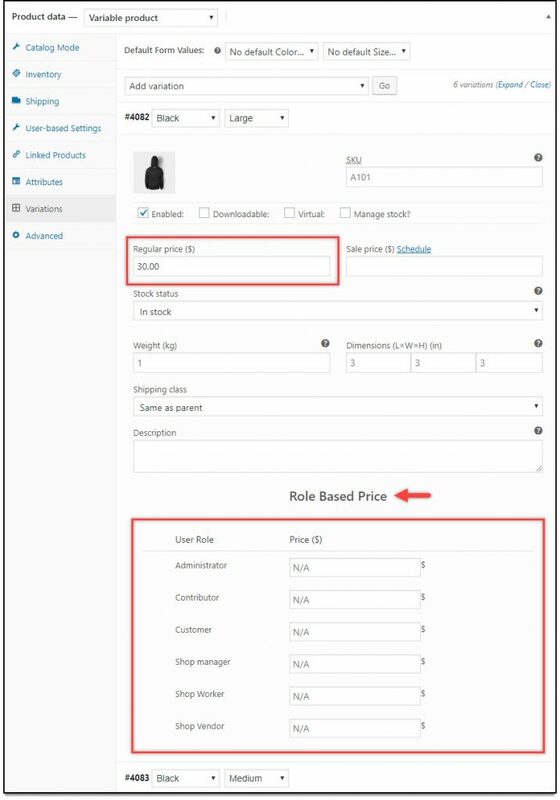 It helps you create new user roles on your store, and configure different prices depending on these roles at individual product pages. In addition to setting up user role based pricing, you can also use this plugin to remove or customize the Add to Cart button on your store as well. You can also hide the product price from specific customer groups as well. Furthermore, you can convert the entire store into catalog mode by disabling the shopping functionality on your store. This can be done based on user roles as well. For example, you can set up your site so that only registered users will be able to purchase from you, while guest users will see an option to contact you or register. 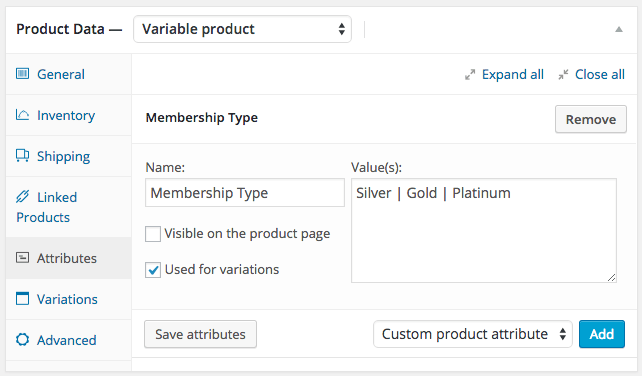 In addition, you can create discounts or price adjustments to specific user roles with this plugin. Overall, this plugin will be extremely useful for you if you are selling wholesale. Single site subscription is $69. Requesting for a quote is a common negotiation practice. You can incorporate this feature into your WooCommerce store with the help of this plugin. 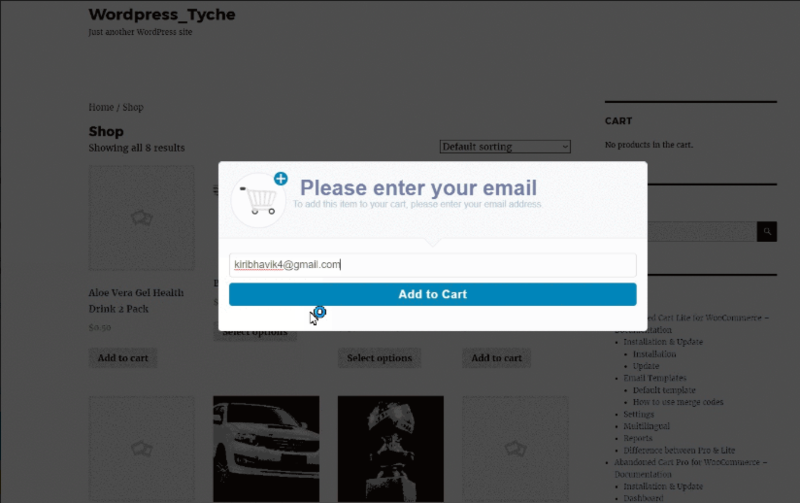 The plugin lets your customers add different products into a quote request form. You can display the quote button on all your products globally or only on a select few products. Though the plugin offers an in-built option to redesign forms, you can also use Gravity Forms or Contact Form 7 to create forms. You can make the quote option available only for users of specific user roles. Also, there is an option to force customers to register on your store, while filling up a form. 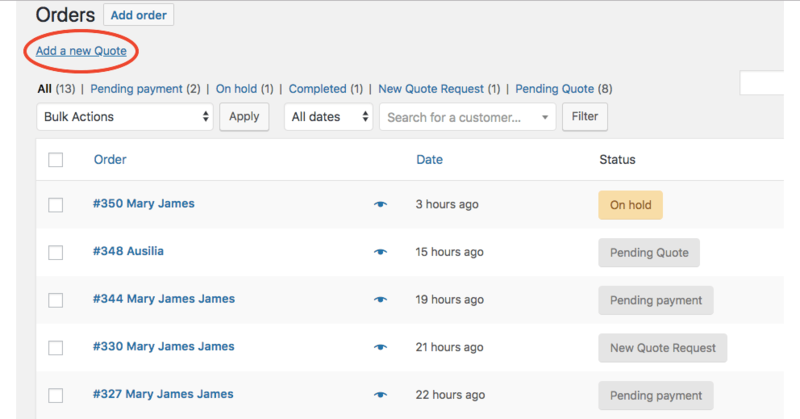 More importantly, you can manage all quote requests from your WooCommerce store orders page itself. The single site subscription of this plugin is priced at €54,99. If you are focussing on affiliate marketing or dropshipping this plugin can be quite useful for you. You will be able to import products from Amazon to your store using this plugin. The plugin helps you feature your own products along with Amazon affiliate products on your store at the same time. The plugin offers a 90-day cookie feature. When a customer is redirected to Amazon site from one of your product pages, that product will be automatically added to their cart. The plugin can significantly improve the chances of conversion for your Amazon products. A regular license of this plugin will cost you $49. Featuring badges on your products will increase the chances of conversion. You can create several badges with information about offers or low stock alerts to make customers more interested. 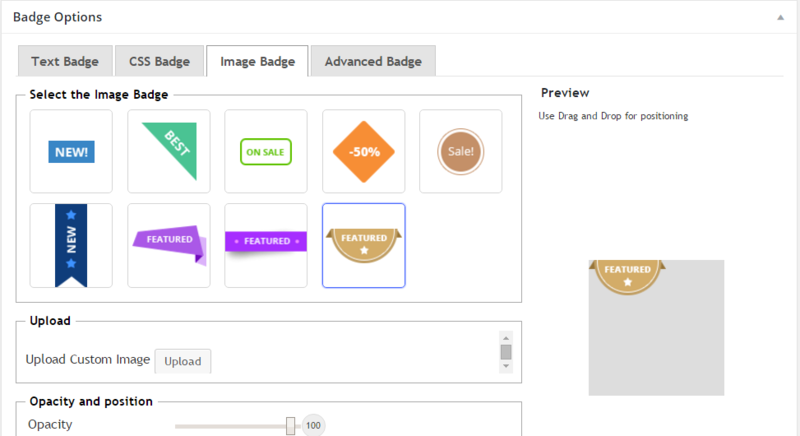 With the help of this plugin, you can customize the content, position and color scheme of the badge that you display. You can add badges to all your products, or add them specifically to select products, categories or shipping classes. The plugin comes with several pre-designed badges that you can use as it is, or you have the option to customize them as you want. The plugin also provides an option to schedule the display of a badge according to a time you think is relevant. You can get a single site subscription of this plugin at a price of €59,99. 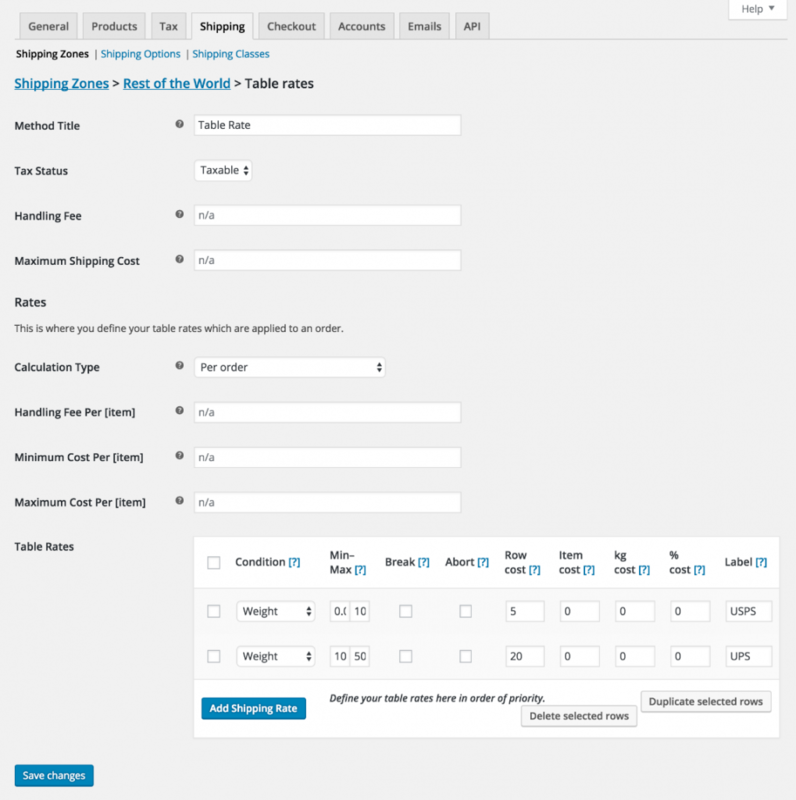 You can customize and enhance the default shipping options of WooCommerce using this plugin. It lets you define shipping rates based on various parameters such as price or weight of the product, shipping destination, or the number of items in an order. You will find several options in the calculation of shipping rates as well. It lets you calculate shipping rules based on each item, line item, class or order. The simple and intuitive user interface helps you a lot in adding complex shipping rules on your WooCommerce store. This is one of the best WooCommerce plugins you can get for Table Rate Shipping. The single site subscription cost $99. If you want to export data of orders, coupons and customers from your WooCommerce via a CSV file, this plugin is the best option. It will be a great option if you want to export these data that can be used by third party systems such as CRM tools or accounting software. 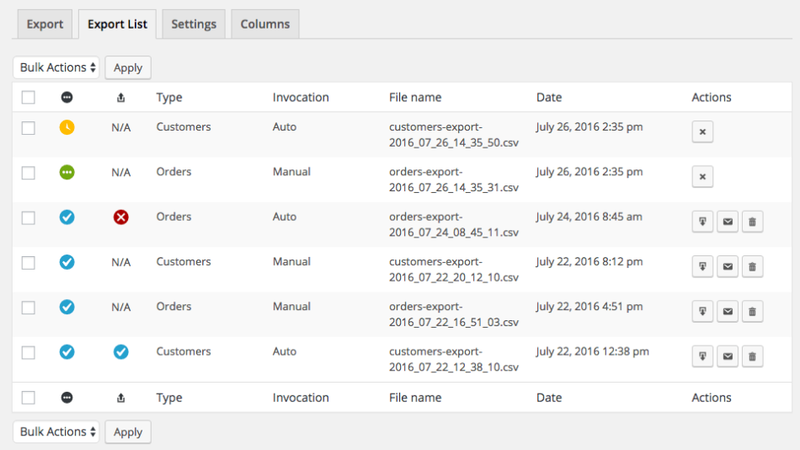 You can use this extension to export customer data individually or in bulk. It also allows an option to schedule automatic export of customers and orders to one or multiple emails through FTP or HTTP. The single site subscription is priced at $79. Your checkout page is extremely important to ensure good conversion rate. So, the fields that you display on the checkout page should be in alignment with your customers preferences. With the help of this plugin, you can add, delete and rearrange fields on your checkout page. The extension offers several fields such as text input, checkbox, date picker, drop-down, etc. You can even shift the position of the core WooCommerce fields if it is relevant to your store strategy. The price of this extension is $49 for a single site subscription. Discount coupons are probably a big marketing strategy on your store. 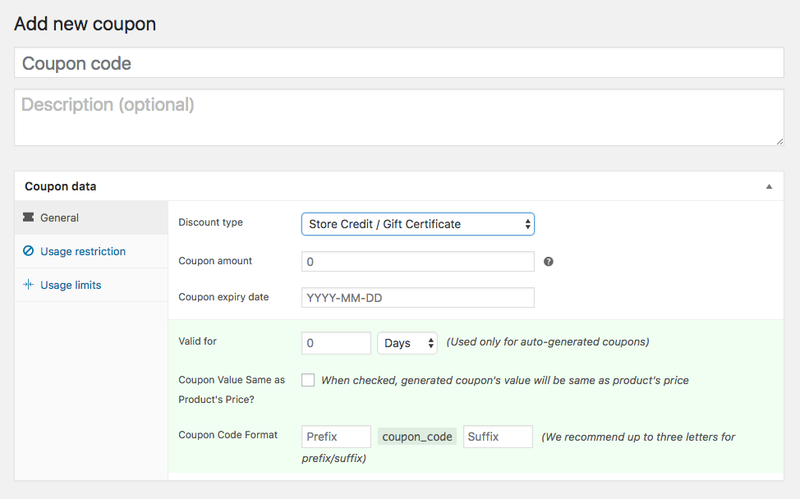 WooCommerce has a default option to create and manage coupons. However, this extension offers several advanced features that will help with your coupon strategy. You can generate and send coupons in bulk. The extension provides an option that will let you connect coupons with specific product purchases. 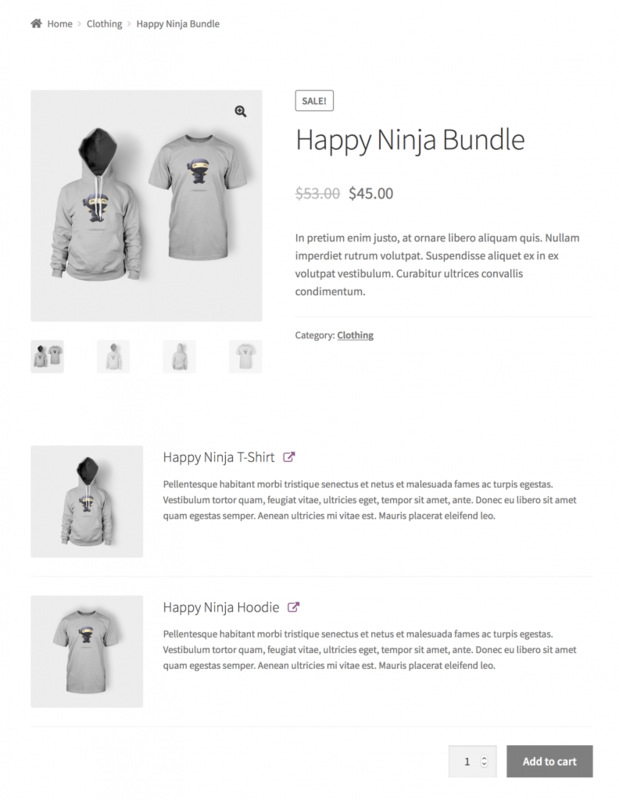 It also supports creating gift certificates and a store credit system on your WooCommerce store. With the help of this extension, you can also customize coupons on your site to suit your design elements or branding. The plugin is compatible with several other WooCommerce extensions such Subscriptions, Chained Products, etc. A single site subscription of this plugin would cost you $99. One of the common expectations eCommerce customers have is to be able to get shipping to multiple addresses in a single order. YITH offers a plugin that would help you deal with this scenario quite effectively. 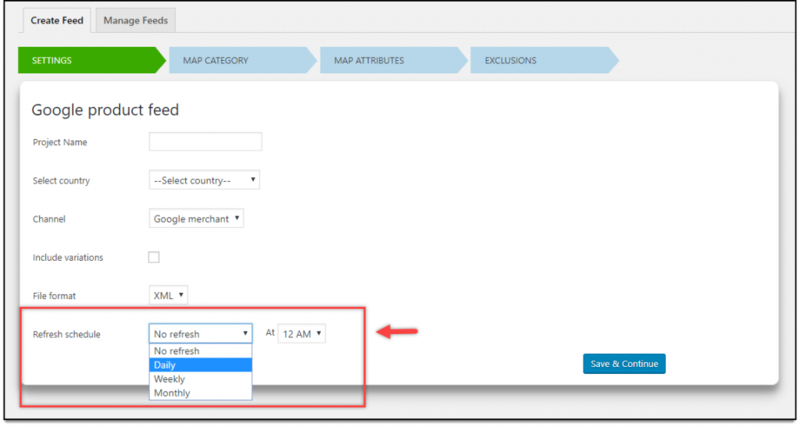 You can enable the multiple shipping addresses option for all users or restrict it to only registered customers. In addition, you can let customers to save unlimited shipping addresses on the store, and they can even choose to ship the same product to different addresses. And, if required, you can exclude specific products from shipping to multiple addresses. The email communication that you have with your customers will be reflective of your brand’s image. So, it is important that every email you sent to customers are designed to display a professional appeal. This plugin will help you customize all your emails in an easy WordPress-like interface. You can change the colors, header and footer format, styling, etc., according to your brand’s design language. 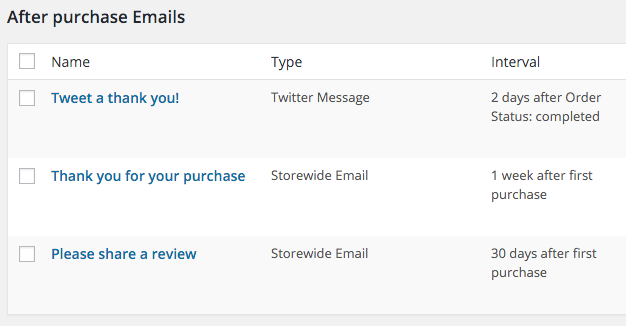 Moreover, the plugin offers an option to preview the emails before you send them out. One of the best WooCommerce plugins, this one is a popular choice on CodeCanyon. The regular license of the plugin is priced at $30. There are several scenarios where you want to create a list of your products, so that customers can easily add multiple options to cart. This is relevant for restaurants, wholesale stores, etc., where customers tend to order multiple products in one order. 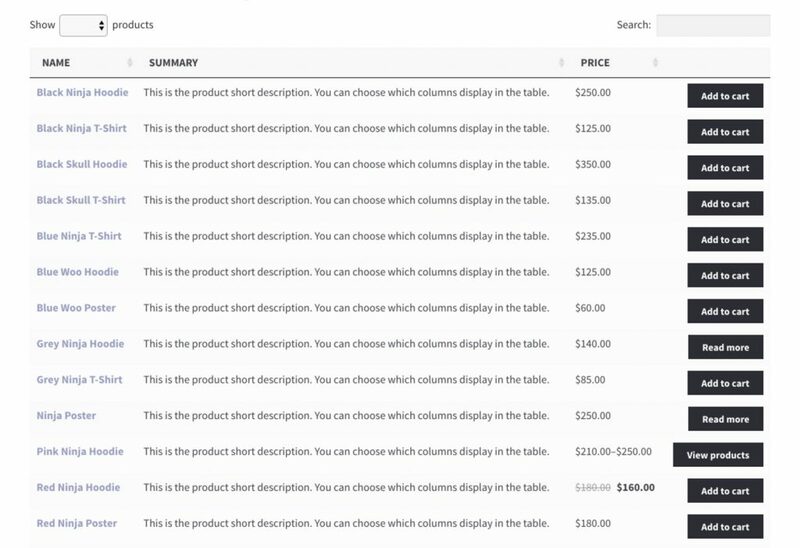 The plugin helps to display your products in a list so that customers can place bulk orders by viewing multiple product details at a time. The ordering process on your store will become much smoother when you use this plugin. It is fully compatible with WooCommerce Product Add-ons extensions, so you can display additional options easily as well. Single site license of this plugin has a price tag of $99. 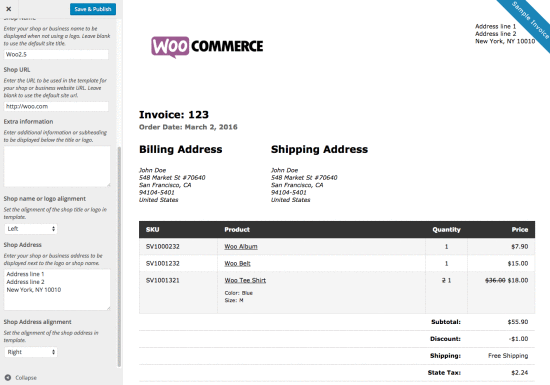 WooCommerce does not offer an in-built solution to print a lot of order-related documents like invoice, packing lists, pick lists, etc. With the help of this extension, you can easily manage to create these documents on your WooCommerce store admin itself. Moreover, the plugin helps you customize the appearance of these documents easily. Furthermore, the extension also lets you preview the documents before you print them. You can print invoices individually for each order, or you can choose to print several ones together. It also helps you assign sequential numbers for your invoices. This is one of the best WooCommerce plugins you can get as it contributes to an important aspect of your customer experience. The single site subscription of this plugin has a price tag of $79. When you are selling internationally from your WooCommerce store, you might want to display prices in a local currency. This can have a huge impact on your store’s popularity and conversion rate, particularly in new markets. You can use a widget or shortcode to place the currency switcher on a suitable location on your site. It also allows you to provide an option for customers to make payments in their chosen currency. You can set conversion rates automatically with the help of some of the integrated currency aggregators. It also offers an option to set up scheduled updates to the currency conversion rate. Furthermore, the plugin lets you hide specific gateways on the checkout page based on the currency option. This plugin helps you a lot in automating your marketing communications. You will be able to send customized emails and tweets to your customers. The plugin offers templates, which you can use for your email campaigns. You can further personalize each of your templates to make them aligned to your design elements. It also helps you track customer value as well as the efficacy of your email campaigns. The extension also helps you to create and manage an email list on your store. Overall, this one is among the best WooCommerce plugins list due to its popularity among businesses of varied sizes. A single site subscription of this plugin would cost you $99. Product reviews are one of the important determinants of conversion. A vast majority of eCommerce customers assert that they check reviews before making a purchase decision. This WooCommerce extension enhances your review strategy one notch higher. Basically, it offers additional discussion options and good filters to make your customers engage more with your store. In addition, you can accept photos and videos as part of a review, and include specific questions that would reveal specific details about the product. Furthermore, it let you accept standalone contributions from customers, without connection to a rating. Creating products on your WooCommerce store admin one by one may not be a practical option at all times. This extension helps you import numerous products in quick time to your WooCommerce store. You can use this extension to upload or update all default product types as well as several other complex products created by third party plugins. The plugin also makes it easy to update certain properties of your existing products such as title or description. You can use this plugin to export your WooCommerce products into a CSV file as well. You can purchase the single site subscription of this plugin at $49. Featuring your products on Google Shopping ads will significantly improve the reach and conversion possibilities of your products. In order to list your products on Google Shopping, you have to first create an account with Google Merchant Center and sync your products. This plugin helps you to automate the whole syncing process, as it creates an XML file with all your products. You can schedule automatic updates of this XML file in daily, weekly or monthly intervals. 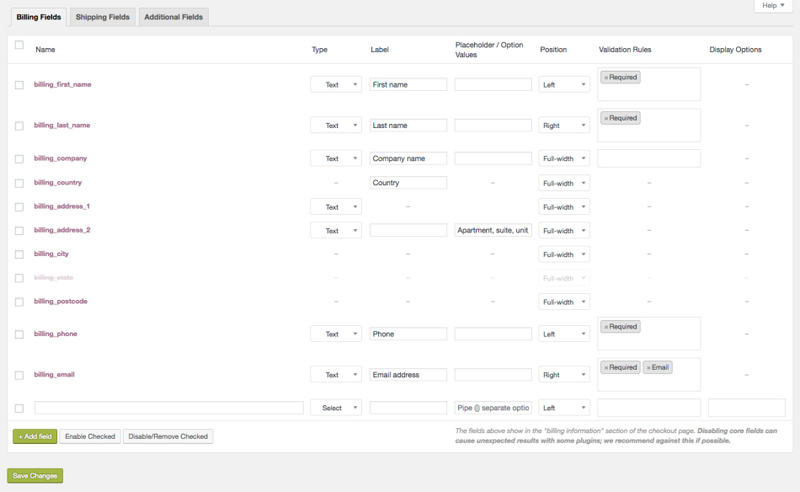 If you need to create additional product fields as per the regulations of Google, this plugin offers an option for that too. The plugin makes it extremely easy to manage one or multiple product fields on your WooCommerce store. A single site subscription of the plugin costs $35. Cart abandonment is an inevitable phenomenon of eCommerce. However, it offers an important opportunity for store owners to reclaim a certain percentage of these abandoned carts. The plugin helps to capture emails from abandoned carts and assists you in sending emails, SMS, Facebook messages, etc., to these customers. You will find three in-built templates with the plugin that can be set to be sent right from the moment the cart is abandoned. There are a few additional templates that you can use along with the in-built ones. This plugin will help you achieve complete automation in reclaiming your abandoned carts, and hence it is favored by several store owners as one of the best WooCommerce plugins. For a single site, this plugin costs you $119. The delivery date and time of an order influences the shopping experience of your customers. In several scenarios, you may want to allow your customers to pick a convenient time for the delivery of their orders. The plugin offers options to let you create different delivery times based on your shipping methods, shipping class, categories, etc. 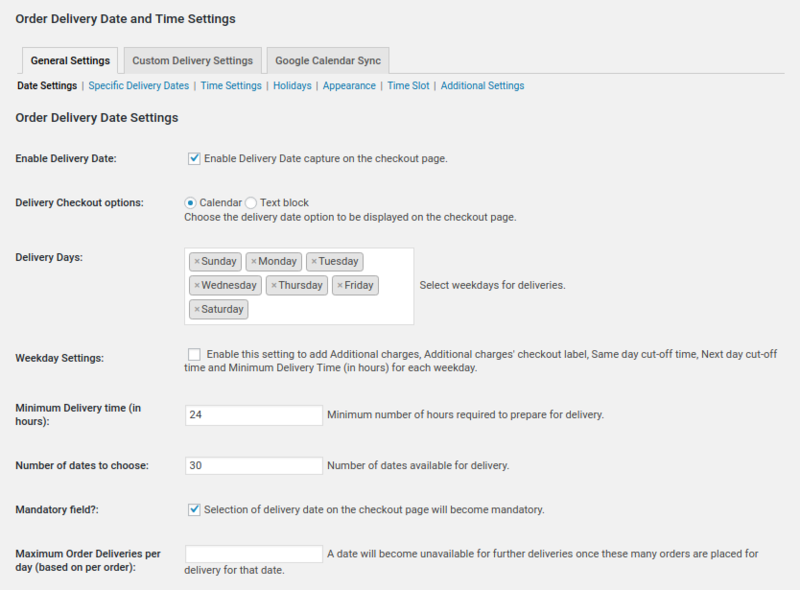 From the plugin settings page, you can define how your customers will be able to choose delivery schedule while checking out. You can even set up additional charges for delivery on certain specific days. To use this plugin on a single store, you need to spend $99. WooCommerce has a default option to bulk edit. However, when you have thousands of products on your store, this option is not really practical. 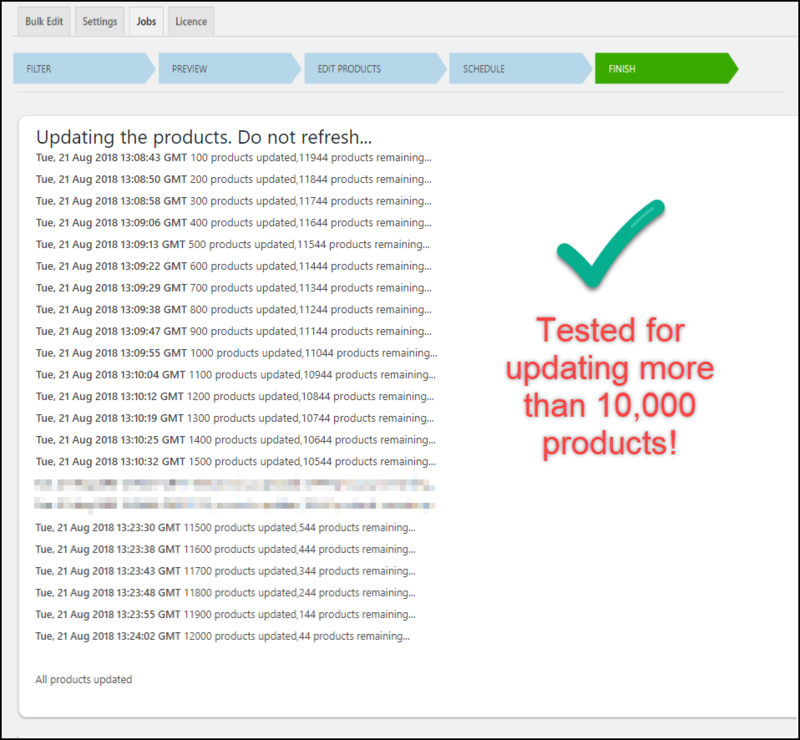 With the help of this plugin, you can bulk update ten thousand products at a time. 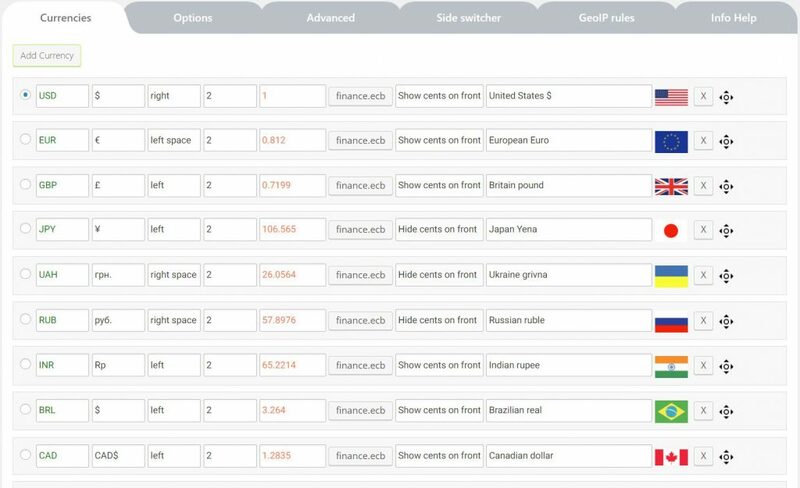 The most important feature of this plugin is the extensive filtering options that will help you select the specific set of products you want to bulk edit. The intuitive interface helps you handle updates of different product properties effortlessly. You can schedule bulk updates with this plugin by specifying a date and time for the updates. It also helps you in bulk editing custom meta fields created by other third party plugins. Another important feature of this plugin is the option to undo the last operation. From a bulk edit operation, you can specify which specific update you want to revert. A single site subscription of this plugin would cost you $69. This extension helps you provide an option to your customers to log in to your site using their social handles. 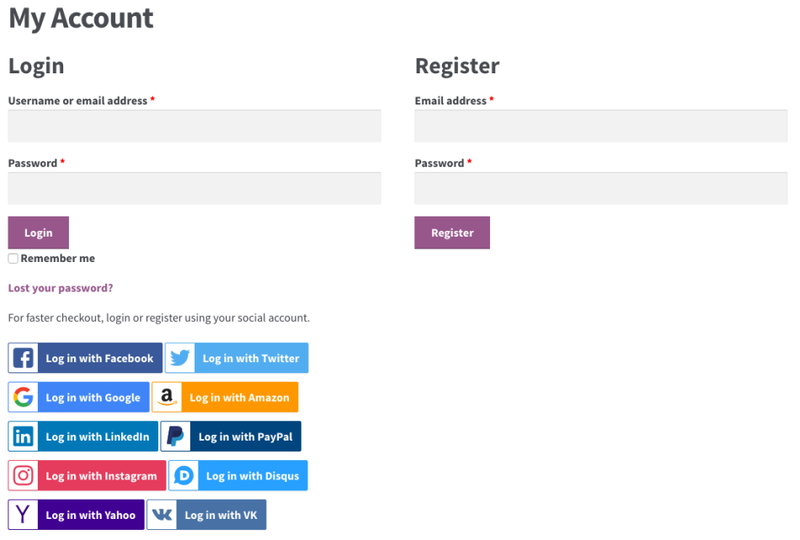 Your customers will be able to use their login credentials from channels such as Facebook, Twitter, Instagram, Google, Amazon, LinkedIn, PayPal, etc. If there are drops in your sales funnel due to the registration process, this plugin can help to reduce it significantly. Moreover, it will make repeat purchases smoother for your customers. They don’t have to enter their credentials every time they make a purchase on your store. This is one of the best WooCommerce plugins you can get to enable social login. The single site subscription of this one would cost you $79. Hope this list has helped you identify some of the best WooCommerce plugins you can use on your online store. Leave us a comment if you want to provide some additional information. How to install and configure a WooCommerce plugin?